The area around Kangchenjunga is said to be home to the "Kangchenjunga Demon", a type of yeti or rakshasa. A British geological expedition in 1925 spotted a bipedal creature which they asked the locals about, who referred to it as the "Kangchenjunga Demon". 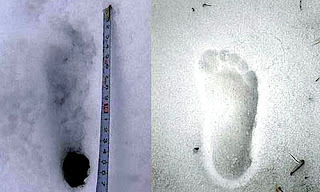 The Yeti or Abominable Snowman is an ape-like cryptid said to inhabit the Himalayan region of Nepal, India and Tibet. The names Yeti and Meh-Teh are commonly used by the people indigenous to the region, and are part of their history and mythology. Stories of the Yeti first emerged as a facet of Western popular culture in the 19th century. The scientific community generally regards the Yeti as a legend, given the lack of conclusive evidence, yet it remains one of the most famous creatures of cryptozoology. 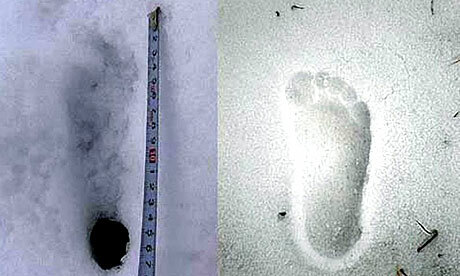 The Yeti may be considered a sort of parallel to the Bigfoot of North America. The appellation "Abominable Snowman" was coined in 1921, the same year Lieutenant-Colonel Charles Howard-Bury led the joint Alpine Club and Royal Geographical Society "Everest Reconnaissance Expedition" which he chronicled in Mount Everest The Reconnaissance, 1921. 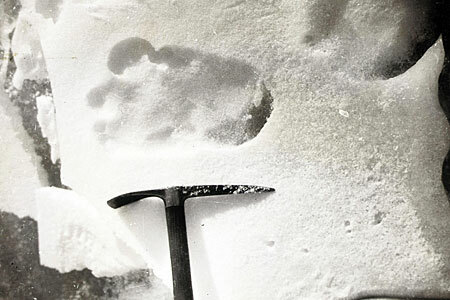 In the book, Howard-Bury includes an account of crossing the "Lhakpa-la" at 21,000 ft (6,400 m) where he found footprints that he believed "were probably caused by a large 'loping' grey wolf, which in the soft snow formed double tracks rather like a those of a bare-footed man". He adds that his Sherpa guides "at once volunteered that the tracks must be that of 'The Wild Man of the Snows', to which they gave the name 'metoh-kangmi'". "Metoh" translates as "man-bear" and "Kang-mi" translates as "snowman". Confusion exists between Howard-Bury's recitation of the term "metoh-kangmi" and the term used in Bill Tilman's book Mount Everest, 1938 where Tilman had used the words "metch", which cannot exist in the Tibetan language, and "kangmi" when relating the coining of the term "Abominable Snowman". Further evidence of "metch" being a misnomer is provided by Tibetan language authority Professor David Snellgrove from the School of Oriental and African Studies at the University of London (ca. 1956), who dismissed the word "metch" as impossible, because the consonants "t-c-h" cannot be conjoined in the Tibetan language." Documentation suggests that the term "metch-kangmi" is derived from one source (from the year 1921). It has been suggested that "metch" is simply a misspelling of "metoh". The origin of the term "Abominable Snowman" is rather colourful. It began when Henry Newman, a longtime contributor to The Statesman in Calcutta, using the pen name "Kim", interviewed the porters of the "Everest Reconnaissance expedition" upon their return to Darjeeling. Newman mistranslated the word "metoh" as "filthy", substituting the term "abominable", perhaps out of artistic license. As author Bill Tilman recounts, "[Newman] wrote long after in a letter to The Times: The whole story seemed such a joyous creation I sent it to one or two newspapers'"